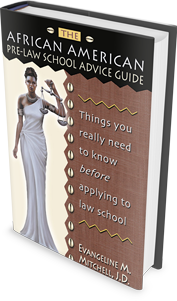 The African American Pre-Law School Advice Guide: Things You Really Need to Know Before Applying to Law School provides comprehensive and detailed information on the admissions application, grade point average, the Law School Admission Test (LSAT), personal statements and essays, interviews, supplemental materials, recommendations, financial aid and money matters, and choosing a law school. - Do You Really Want to Go to Law School? - Truths and Motivational Notes. This reader-friendly guide is filled with numbered and easy-to-read facts, insights, advice, observations, antidotes and anecdotes regarding the competitive law school admissions process. If you are serious about getting into law school, you will want to read this book cover to cover!